Since the Allegheny River from Tionesta to Emlenton was designated a wild and scenic river by Congress in 1992, the majestic shores and clean clear waters attract a wide array of wildlife for your viewing adventures. Bald eagles now are almost a common site along the river, as are otters and beavers. These are all great signs of the diverse and thriving ecosystem you will find on your excursions with Riverview Canoe. The course of the meandering, calm currents also follows through most of the Oil Heritage Region. 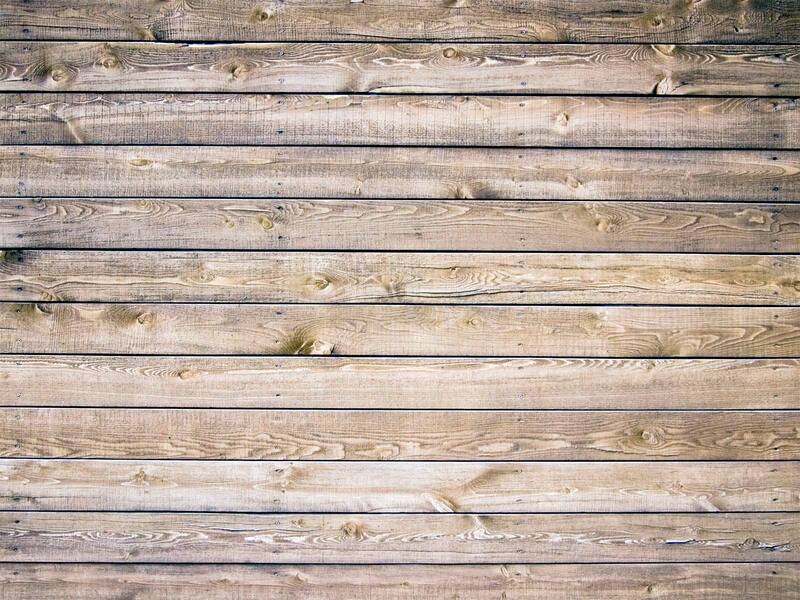 It not only offers breathtaking views. The Allegheny River also provides once in a lifetime wildlife viewing opportunities. while displaying a tremendous amount of historical significance around every bend. Franklin to Emlenton: This 34 mile trip is an amazing adventure whether attempting it in one day or leisurely camping along the shores and islands for two or three days. Starting at the historical town of Franklin, named after Benjamin Franklin, the winding gentle currents take you through Clearcreek State Forest, under the historical Belmar Bridge, by the legendary Indian God Rock, past Millcreek and ends in Emlenton. 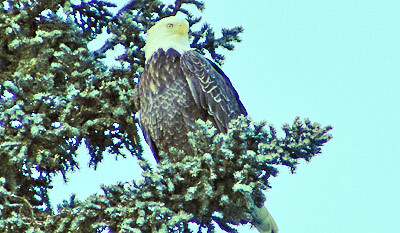 Look to the trees on the many islands you pass because bald eagles love to hunt from these locations. Kennerdell to Emlenton: This 18 mile stretch of river leads you through some of the most remote areas of the Allegheny watershed. Wildlife is abundant and with water speeds at an average of three knots per hour, one can easily utilize the camping areas located along the river and make this a two-day trip. Millcreek is located approximately 12 miles south of Kennerdell and is one of the many gorgeous camping areas along the route. Millcreek to Emlenton: Millcreek is a tributary of the Allegheny River and this is a gorgeous starting spot for a day’s trip on the river. Because the length of the trip is only five miles long, this is a great trip for a beginner. Between Millcreek and Emlenton wildlife of all varieties are abundant on and off the river. Heading south down the river, the Allegheny River Trail is off on the left bank. This is a paved bicycle trail and no motorized vehicles are permitted along the route allowing for a tranquil river trip that mesmerizes the passerby with the sounds of the abundant wildlife. 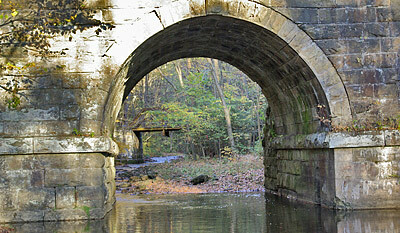 Millcreek to Parker: Beginning at the majestic spillway of Millcreek, this twelve-mile trip is a wonderful day outing. Not only does it pass through a vast wilderness area at the beginning, it also leads you through three major oil towns of the Allegheny River. It passes through Emlenton, a major transportation hub for oil, historical Foxburg that offers a dock and dining on the river for a nice lunch, and ends in the smallest city in the United States, Parker. Emlenton to Parker: Starting in Emlenton, this river adventure although passing through several towns, offers amazing wildlife viewing. From bald eagle, river otter, blue heron, river mink to white tailed deer and an occasional black bear sighting. This trip is approximately seven miles long, and with the historical town of Foxburg at the half waypoint, it offers dining along the shores with a boat dock for access to the restaurants. 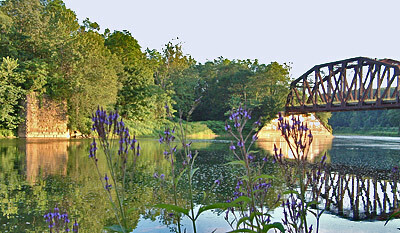 Parker is about three miles down river from this point, and this stretch of river although populated, displays a blue heron rookery, Stump Island, and the Clarion Bridge. 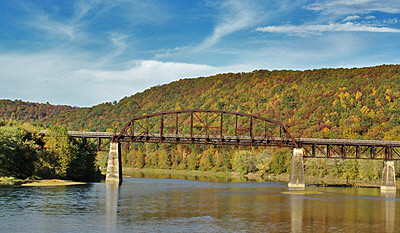 This is where the Clarion River meets the Allegheny and it is a fantastic fishing or wildlife viewing spot. Fisherman’s Cove to Emlenton: This twenty-two mile adventure starts in the quite village of Fisherman’s Cove. The area surrounding this tranquil alcove is renowned for Native American artifacts. 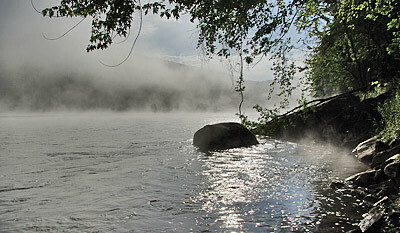 As you float down the gentle river through this area, it is easy to imagine the river as it was hundreds of years ago. 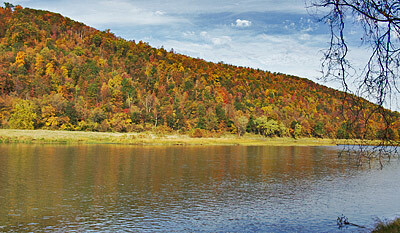 Camping areas are abundant along the route and wildlife greets you around almost every bend of the majestic Allegheny River.